After 40 years spent writing nonfiction for publication and producing 40 published books, and after 20 years editing other authors’ fiction, I decided to write a novel. It was a birthday gift for myself—time spent dabbling in fiction-writing. After much thought and many false starts, I wrote a light mystery involving cats. Thus, the Klepto Cat Mystery series was launched. 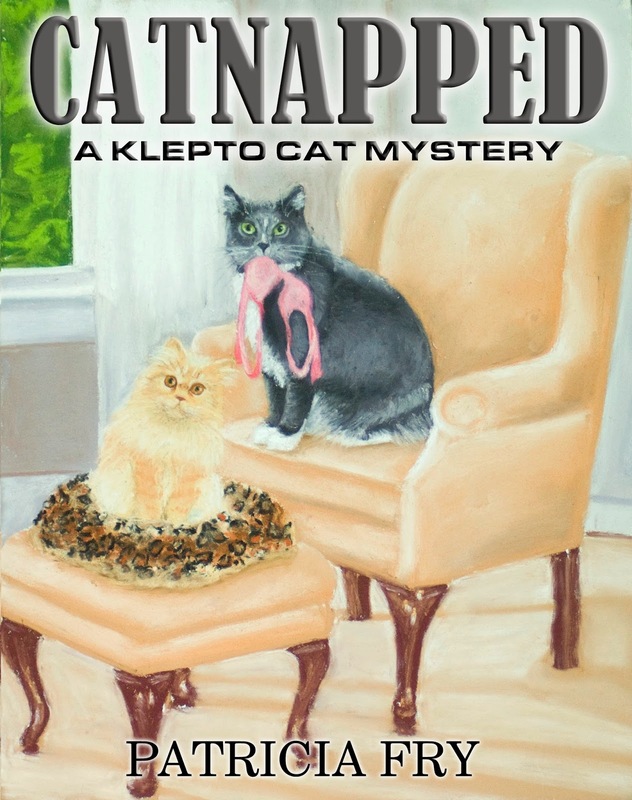 Since I started writing fiction, I’ve published three books in the Klepto Cat Mystery series, Catnapped, Cat-Eye Witness and Sleight of Paw. Book number four, Undercover Cat, should be available as a Kindle book by April 1 and The Colony Cat Caper will follow within the next few months. These stories feature Rags, an ordinary cat with a most unusual habit. He’s a kleptomaniac. Often, the things he finds are clues to the current mystery or crime. While Rags’s habit can cause problems at home, he has proven to be a boon to local law enforcement. In book one: Catnapped, Savannah Jordan agrees to help her Aunt Margaret while she recovers from a broken foot. However, Savannah doesn’t expect to walk into a mystery, become part of a not-quite-legal surveillance team, be kidnapped by a deranged stranger and meet a steaming hot veterinarian. Beloved neighborhood cats are missing—the community can only guess at their fate—and Aunt Margaret’s life is being threatened. Is it because she has a clue to the missing cats or is it something more sinister? Of course, as in all of the Klepto Cat Mysteries, Rags, an ordinary cat with a most unusual habit, has a paw in saving the day. I’ve been contacting reviewers that typically review cozy or light mysteries and/or fiction involving cats. Consequently, I’ve had quite a few reviews posted at Amazon and other places. I have two blogs, one is dedicated to cat topics and my cat books www.matilijapress.com/catscapades and a facebook page for my fiction, www.facebook.com/kleptocatmysteries I use my Twitter account to promote the book series as well. I had bookmarks made and I distribute them generously. I’ll promote the books and sell the print version at the Los Angeles Times Festival of Books in April and other such events that come along. I participate in interviews such as this one, I’m guest blogger at other blogs and I’ve done one blog tour so far, which resulted in book sales doubling that week. I talk about my books wherever I go and always have bookmarks handy to hand out. I also have announcements posted in affiliate organization newsletters and so forth. I’m the executive director of SPAWN (Small Publishers, Artists and Writers Network) and belong to other such organizations. I try to make use of the promotional opportunities for members. 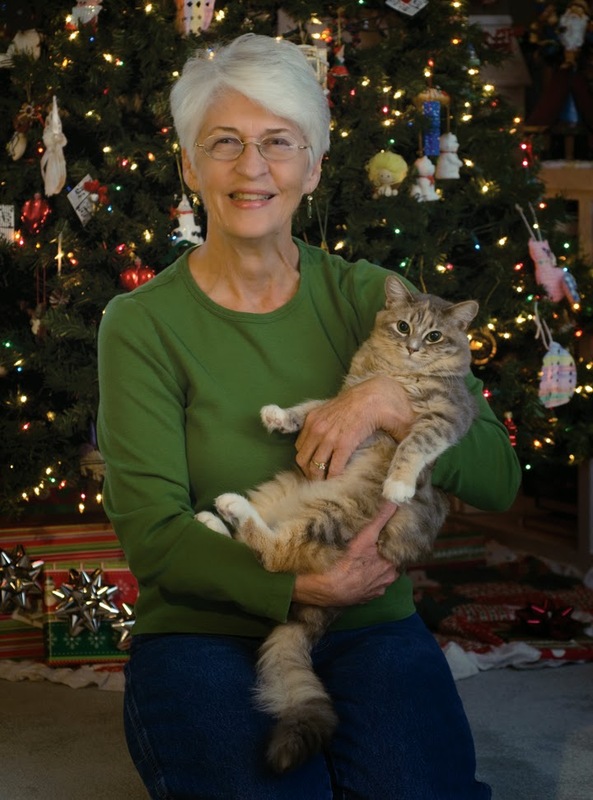 All of the Klepto Cat Mysteries are on Kindle and two, so far, are also in print. I’ve spent the last twenty years or so writing for authors—preparing authors for a more successful publishing experience. I’ve published hundreds of articles in key magazines and newsletters. I’ve travelled and conducted workshops and presentations before hundreds of people and I’ve produced a dozen or so books for authors. I always advise hopeful or struggling author to study the publishing industry before getting involved. Too many authors pursue publishing and promotion as if it is an extension of their writing. The truth is, writing is a craft and publishing is a business. Authors must, MUST enter into the world of publishing with a full understanding of the industry. They must know how the industry operates, what their options are and what their responsibilities as a published author are. Everything. I established a career as a freelance article writer in the early 1970s. I’m probably one of the most prolific writers you’ve ever met. I tell people that I can’t not write. Over the years, my career has morphed. Currently, I write fiction and work with other authors to refine their fiction and nonfiction books. I also help authors to develop their book proposals. It thrills me when I can guide a good writer toward a more successful publishing experience. Bernadette Kazmarski is the artist who painted the covers for all of the books in the Klepto Cat Mystery series. I’ve discovered throughout my life that I must be involved in something creative. I used to do a lot of sewing and needlework. I’ve even made leather chaps and a wedding dress as well as ski sweaters. Currently, when I’m not writing (which is rare), I’m gardening, photographing birds or other animals or simply chilling our three cats, Lily, Max and Sophie. I also enjoy family—I have 6 grown grandchildren and two great grandchildren with twin great grands on the way this spring. I also spend a couple of days each week with my 92-year-old mom. Hahah, books about cats. Nice!